Perfectly suitable as an industrial building, production hall, warehouse, shop or showroom. A cold rolled galvanized steel building with a flat roof. A unique concept. The 100% galvanized steel structure is composed out of prefabricated elements. The structure is fully optimized, solid but light, versatile yet elegant. The possibilities are almost limitless. An aesthetic alternative to more classic buildings with gable roof. Compared to more classic construction methods, the Flatro offers many advantages. More elegant, lighter and faster. Light components, manipulable by 2 people. No heavy machinery and equipment. More economical and ecological. Slim, double ∑-shaped profiles fit perfectly in each other. The result? An exceptionally strong yet elegant structure. Flatro offers a high level of personalization. The typical, truss beam framework guarantees large spans. Every component can be optimized and modified. The goal? The ideal structure. Reinforced where necessary, solid but light where possible. An efficient use of material. 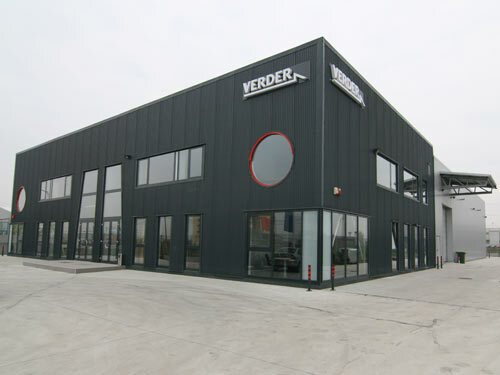 A modern, versatile and sustainable industrial building. Delivered at a fixed price, all in compliance with local standards and regulations. The high-end finishing guarantees the best quality and a long lifetime. Built to last. You want to know more about Flatro industrial buildings ? Why would you choose for a Flatro industrial building? 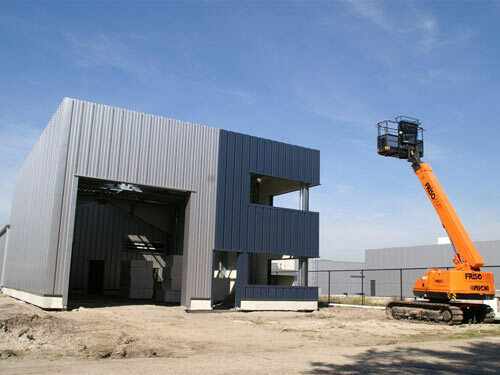 Looking for an industrial building for all applications? Flatro is the steel construction you need.